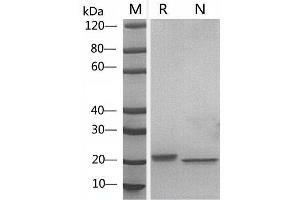 2 μg of LIF, Mouse was resolved with SDS-PAGE under reducing (R) and non-reducing (N) conditions and visualized by Coomassie Blue staining. LIF, Mouse stimulates cell differentiation using M1 cells. The ED50 for this effect is less than 0.01 ng/ml. (2.7 pg/mL). 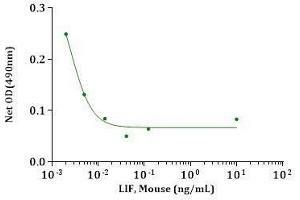 Characteristics ED50 < 0.01 ng/mL, measured by a cell differentiation assay using M1 cells, corresponding to a specific activity of > 1.0x 10^8 units/mg. 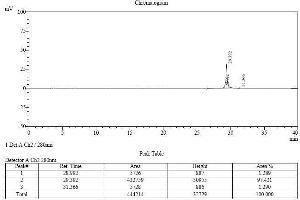 Purity > 95 % by SDS-PAGE and HPLC analyses. Background Leukemia Inhibitory Factor (LIF) is a pleiotropic cytokine belonging to the long four-helix bundle cytokine superfamily. LIF shares tertiary structure with several other cytokines, including Interleukin-6 (IL-6), Oncostatin M, ciliary neurotropic factor, and cardiotrophin-1, and their functions in vivo are also redundant to some extent. LIF can bind to the common receptor of IL-6 subfamily, gp130, and then recruit its own receptor LIF Receptor to form a ternary complex. 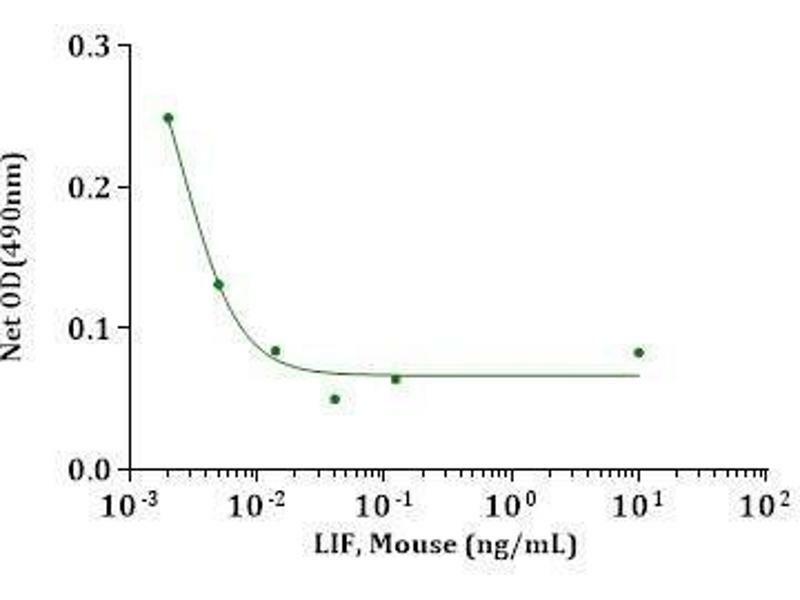 The basal expression of LIF in vivo is low, and its expression is induced by pro-inflammatory factors, including lipopolysaccharide, IL-1, and IL-17, and inhibited by anti-inflammatory agents, including IL-4 and IL-13. The functions of LIF include proliferation of primordial germ cells, regulation in blastocyst implantation and early pregnancy, and maintenance of pluripotent embryonic stem cells.Recombinant mouse Leukemia Inhibitory Factor (rmLIF) produced in E. coli is a single non-glycosylated polypeptide chain containing 180 amino acids. 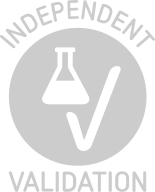 A fully biologically active molecule, rmLIF has a molecular mass of 19.9 kDa analyzed by reducing SDS-PAGE. 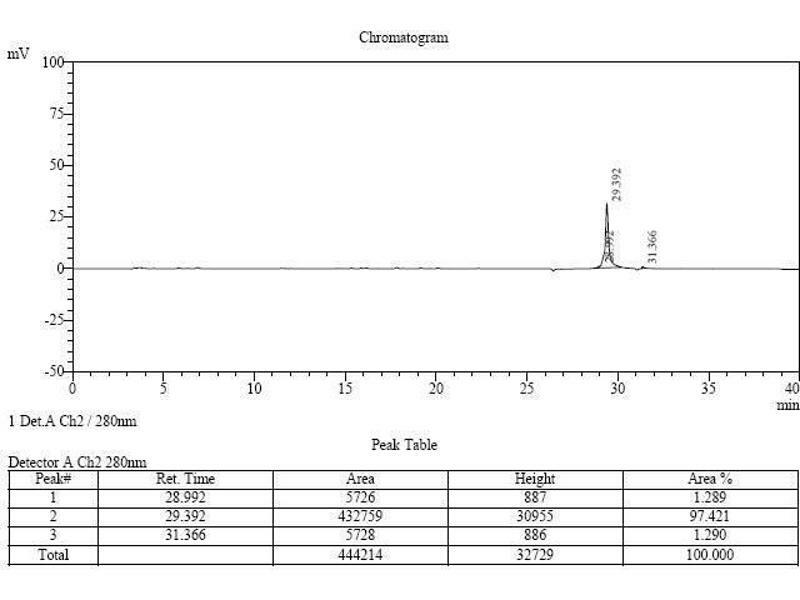 Molecular Weight 19.9 kDa, observed by reducing SDS-PAGE. Buffer Lyophilized after extensive dialysis against 50 mM Tris, 150 mM NaCl, pH 8.0. 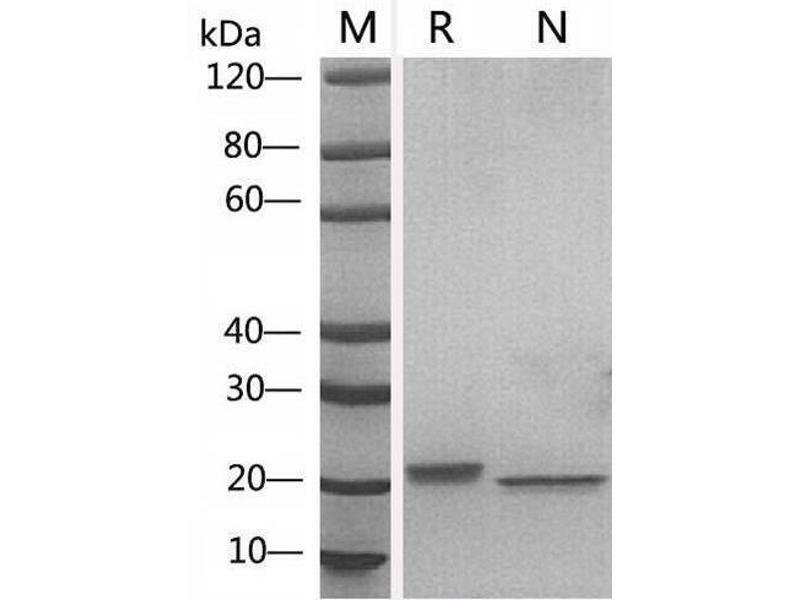 Storage Comment Lyophilized recombinant mouse Leukemia Inhibitory Factor (rmLIF) remains stable up to 6 months at -80 °C from date of receipt. Upon reconstitution, rmLIF should be stable up to 2 weeks at 4 °C or up to 3 months at -20 °C.